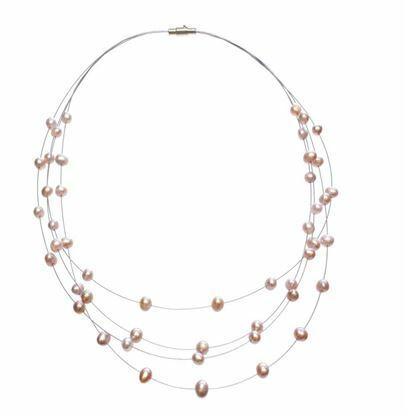 Genuine freshwater nugget pearls elegant;y suspend along the 5 transparent filaments, appearing to float. Available in 3 natural colors, and 7 of this season's hottest dyed palettes! 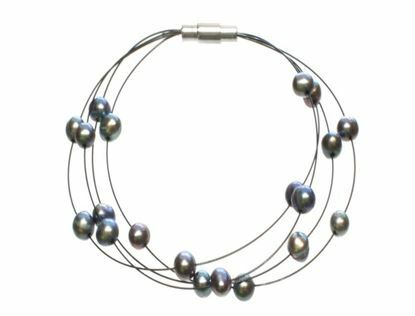 Genuine cultured pearls elegantly float around these wire illusion bracelets. 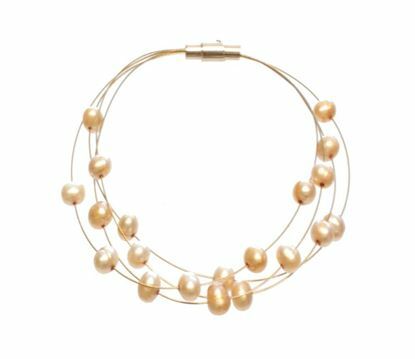 Genuine cultured pearls elegantly float around these wire illusion necklaces. 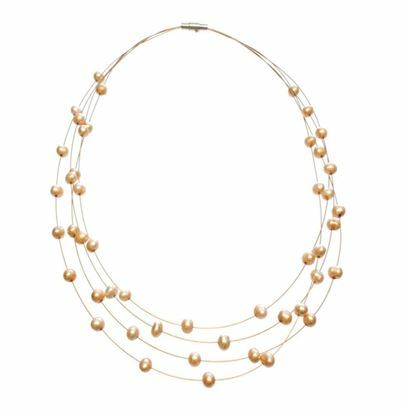 Button shaped genuine cultured pearls make this classic necklace a "must have" for day or evening. Braided strands of genuine freshwater pearls and sparkling seed beads feature a magnetic clasp, and are available in 6 of this season's hottest palettes!